I've been dying to see this film since the day I saw the first trailer, and I'm so excited that I'm just going to start off this mini-review by saying that it was everything I expected and so much more. Review and trailer after the jump. 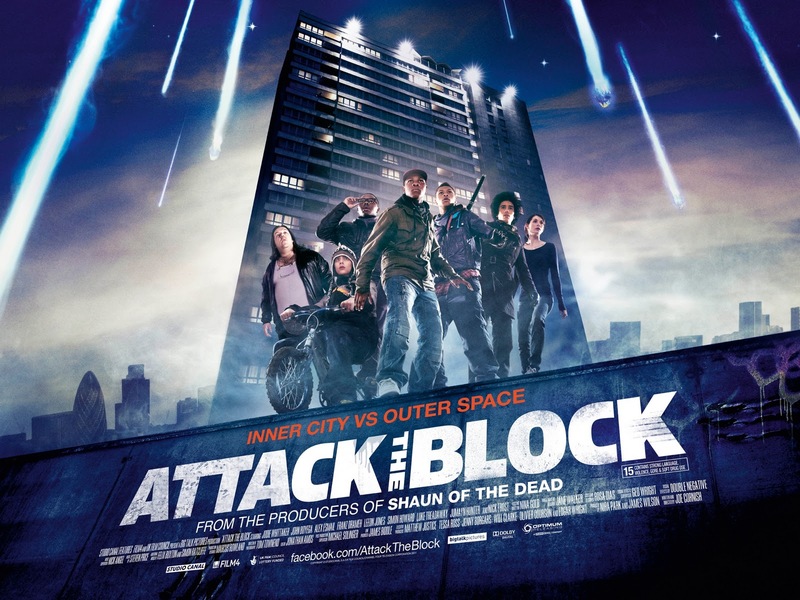 Attack The Block is about a gang of urban South London kids that start some local trouble and get themselves into the middle of an intergalactic alien invasion. It's totally not what you think (campy sci-fi) and instead one of the coolest films I've ever seen. The kids are rough. The aliens are vague, but vicious. The film feels both real and completely unreal at the same time, which makes it very exciting and different. It feels like a modern day version of The Warriors, without ever being overly nostalgic, or even self aware of any of it's film forefathers. And everything happens so quickly that you don't even have a second to think about the roots of the film. But, there is one constant glaring reminder of the early Walter Hill days… and that is the brilliant soundtrack. It's such a compliment to the film. So yes.. I absolutely loved it. But will you? Here is the test. -The Warriors meets Shaun of the Dead, but a little bit scarier, and a lot less funny? -A small cast made up of actors that you've probably never seen before? -Thick British accents talking in even thicker British slang? -A super low budget alien movie with pretty low key special effects? If you answered yes, this film was made for you bruv. Check it. Yeah, this movie was pretty much perfect for me. LOVE the dialogue. It got me overdosing on Dizzee Rascal.